Happy Saturday and Happy July! 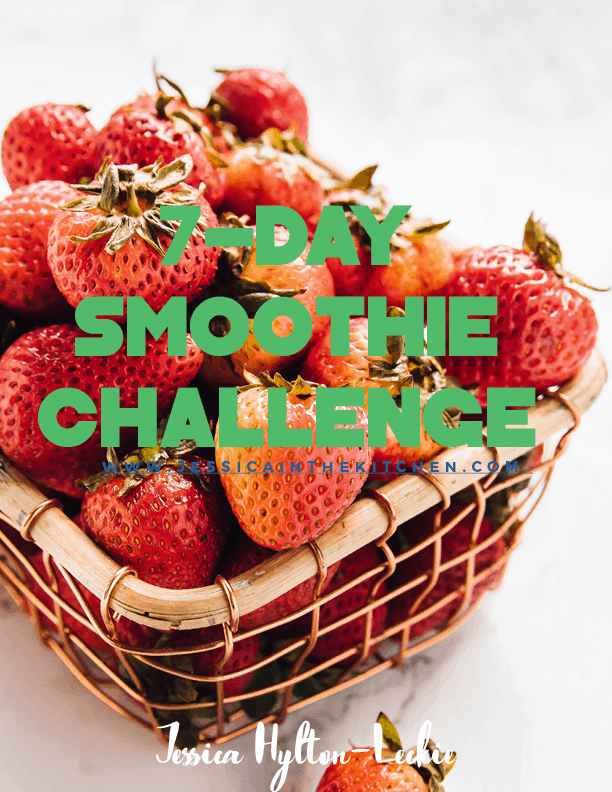 I have a huge surprise for you that we’ve been working on for a while – we’re having a 7-Day Smoothie Challenge and we want YOU to join us!! You guys have always asked that we do something together in the community, and with July starting TODAY (Happy July!) a Smoothie Challenge seemed like the very best way to start our Challenges! For a chance to win a $100 Amazon Gift Card from us! So, why smoothies? Smoothies are life. 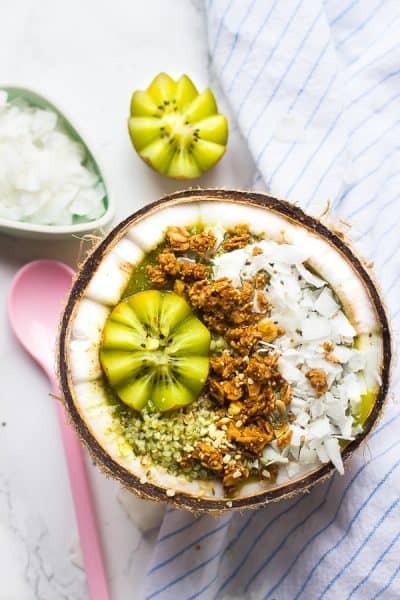 They are nutrient dense, tasty, portable and easy to make meals that can be had at pretty much any time of the day, but are the very best to have in the mornings to help energise you throughout your day. 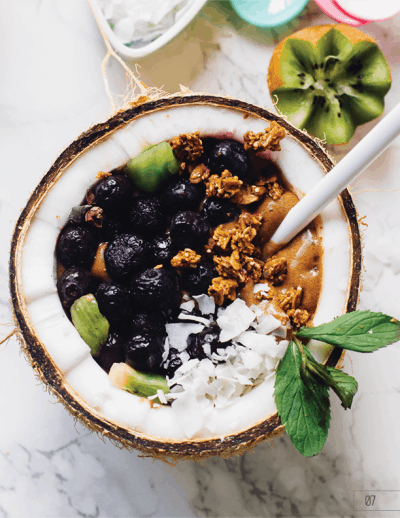 Smoothies can also be pretty simple, or loaded with your favourite superfoods, nuts, seeds and anything else you’d love to add in. I love how versatile smoothies are! 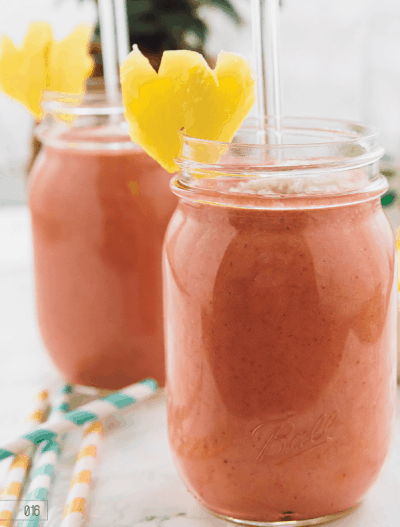 Most importantly for the summer, smoothies help with hydrating you SO much! It’s really easy to get dehydrated in this summer heat, so you want to ensure you’re drinking your water along with your smoothies. 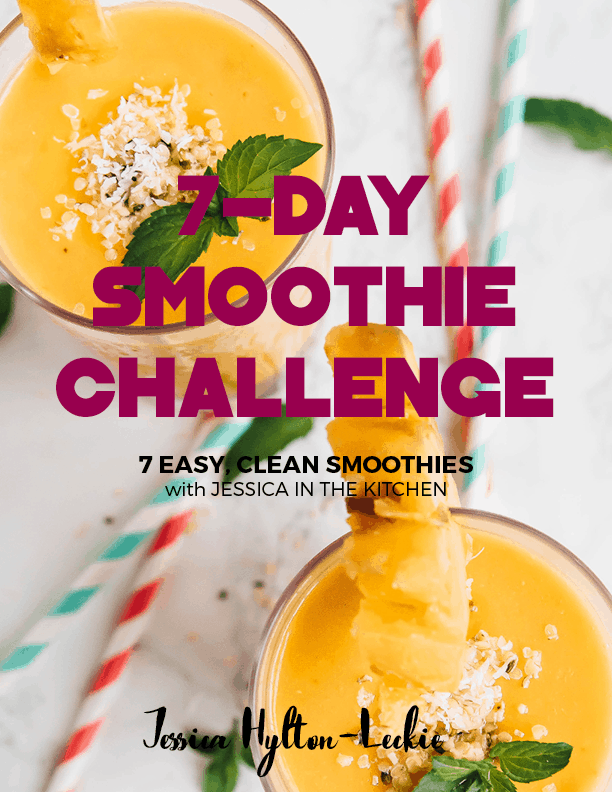 So let’s get to the “rules” of the 7 Day Smoothie Challenge! The challenge starts next week Monday, but you can do it whenever you can! 1. 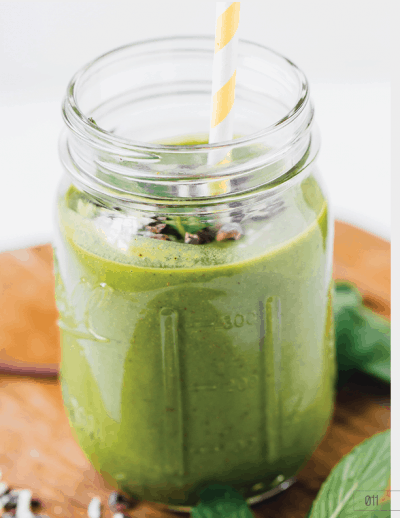 Make one clean eating smoothie ever day for breakfast for the next seven days. Mornings are the best times to have your smoothies, but if you missed your morning you can have it in the afternoon too! 2. 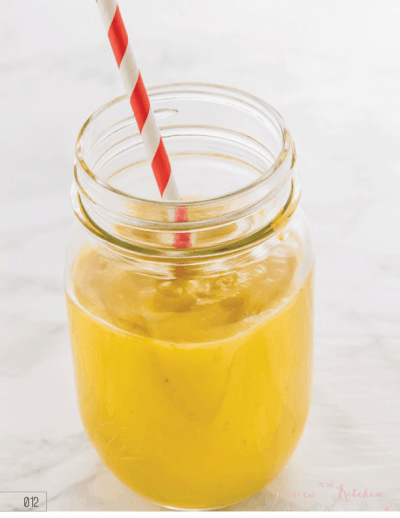 SIP your smoothies slowly. Remember your smoothies are loaded with lots of veggies and fruits, so sip them as if you were eating them, slowly! 3. Continue to have your healthy snacks, lunches and dinner throughout the day too! If you’re not sure where to start with this, check out this Meal Prep Post. 4. Share your creations with the hashtags #jessicainthekitchen and #jitksmoothiechallenge, so that we can share them! You can also join us at the Jessica in the Kitchen VIP Facebook Community group to share! 5. 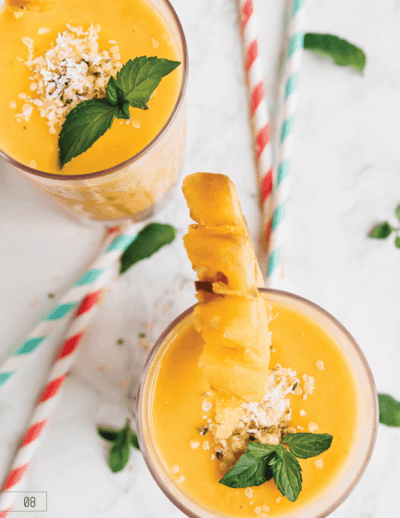 You don’t have to make these smoothies, but they’re great suggestions for smoothies that will keep you full and energised! You can make any healthy clean eating smoothie. Now let’s get into the recipes! 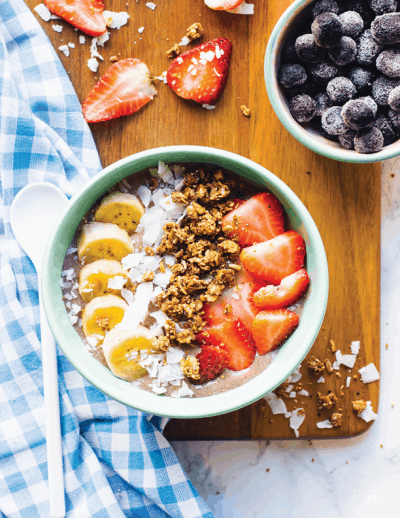 Here are the fun recipes you’ll be having each day straight out of the book! Remember to grab your Free Printable Clean Eating Grocery List to help you go shopping for this! I can’t get wait to get started on this and see all your amazing photos!! Who’s in?! If you’re in and excited, all you need to do is sign up below!! SEE YOU ON MONDAY! Wow..I loved this smoothie challenge jessica. I am gonna participate in it and I will forward this post to my relatives and friends who are very expert in the kitchen. Thanks so much Dina!! I hope you enjoy so much!